Saddle up there folks, you’re in for a wild ride. Pregnancy is a mind bending foray into hormones, weekly milestones and serious physical feats. It signals a shift into a new phase of life and is the first part of the journey into the rewarding world of parenthood. So with such a wild and incredible ride ahead of you, what are the five most exciting things to look forward to as a pregnant woman? From the moment you get a positive result on that pregnancy test, there is the knowledge that you are no longer alone in your body. You are set to transform into a highly efficient factory that will ultimately produce another human being. Long before you don a maternity dress and the world shares your secret, it’s already happening inside you. Most mums can relate to the amazing experience of feeling the first flutter of their baby. Not a kick or a thud but a tiny, tiny flutter somewhat akin to feeling a butterfly take flight. It’s a realisation that this baby, who will soon take hold of your entire life, is tangible and real. (And then, as your pregnancy progresses, you may experience occasions where your bub is kicking/moving around with such enthusiasm that your colleagues, sitting across a table, will be able to see your tummy moving furiously. Yesss, this happened to me during my morning meetings whilst pregnant with my first - Miss 4). For many of us, it's all true; your hair does magically become lustrous, your skin does glow - even as you fight relentless waves of nausea and an overwhelming urge to sleep. That’s right, just as you start wondering why pregnancy feels like a cocktail of undeserved hangovers, seasickness and narcolepsy, your hair will start to resemble a Vidal Sassoon commercial and your skin takes on a Revlon gleam. (This was definitely the case for me with my first pregnancy, until the last week where my body was taken over with the PUPPS rash. Hideously itchy/no sleep etc, that thankfully eased as soon as bub was born). Enjoying my luscious locks whilst pregnant with Miss 4. That lustrous hair and gorgeous skin is accompanied by a body capable of amazing feats and incredible change. Your new bustline and new bump call for some retail therapy and a new sense of style. Now is a golden opportunity to pamper yourself with some great wardrobe items such as gorgeous maternity dresses, funky maternity shirts and seriously comfy clothes. Maternity wear is not the frumpy stuff it used to be. Websites such as Maternity Sale feature stylish and chic pregnancy attire that will have you feeling fantastic. With Miss 4 (then 20 months) whilst pregnant with Mr 2 (he and Miss 4 are 21 months apart). The human race is inherently wonderful when it comes to welcoming babies into the world, and that kindness generally extends to expectant mums. The number of people who will talk to you about your baby, when it’s due and what you’re expecting is amazing. They will share their own memories and experiences in the nicest of ways. It’s as if a woman in a maternity dress is an invitation to communicate about the real and personal moments of life. People see a baby bump and are suddenly and very kindly cheering you on into parenthood. 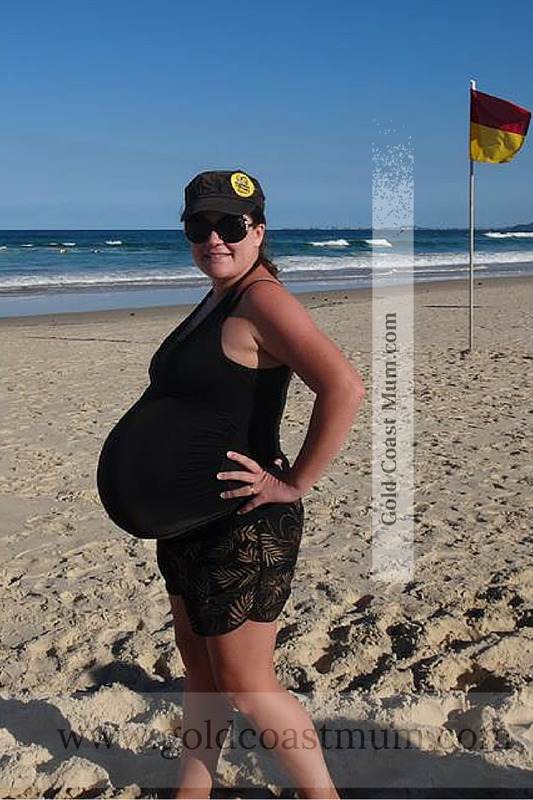 I attracted plenty of comments and well wishes whilst at the beach while 37 weeks with my Twincesses (who were born the next day weighing 6lb6 & 6lb3). There’s so much to be excited about when you learn you’re expecting a baby. From feeling that first flutter to hearing your baby’s heartbeat, it’s a magical time filled with mystery, promise and change that ultimately ends with the sweetest gift of all. If you’ve already had a baby, what did you love about pregnancy?